The world of two-wheeled competition was heating up with the birth of new variants to the end of 2015. Had previously came from Kawasaki and Suzuki, a teaser back sticking out and indicate the birth of the 'Monster'. The news about the birth of the figure of 'Monster' is justified by Motorcyclenews that he is the most savage generation among Ducati production line. it means, a photograph that had spread to the virtual world is the next most likely New Ducati Monster 1200 R.
If the rumor is true, in the short term it can be seen at the Frankfurt Motor Show 2015 event in Germany next week. 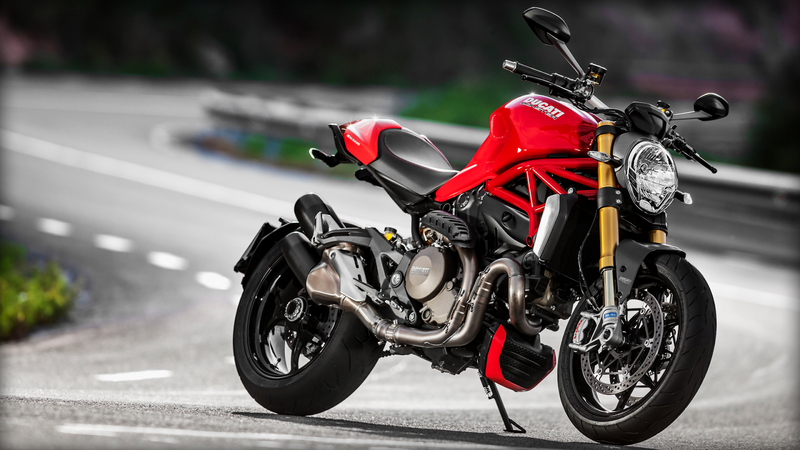 Ducati Monster 1200 promised to bring R with greater power, more sporty chassis until the 'advanced design'. All renewal will certainly be an apparition most 'creepy' of this Ducati Monster. According to schedule events, New Ducati Monster 1200 R will be exhibited on September 14 at booth VW Group 'Volkswagen Group Night. Yes Otolovers wait for further news.